^ Kaufmann, Walter. Existentialism From Dostoevsky to Sartre. New York: Meridian Books. 1956: 52. ^ 2.0 2.1 黃友玲. 曠野藝文∕罪與罰. 曠野雜誌. 2011-11-12, 174 [2014-01-29]. ^ Frank 2009, p. 110. ^ Catteau, Jacques. 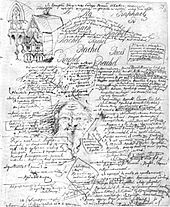 Dostoyevsky and the Process of Literary Creation. Cambridge University Press. 1989: 282. ISBN 978-0-521-32436-6. ^ Terras 1998, p. 59. ^ Terras 1998, p. 14. ^ Bloshteyn 2007, p. 3. ^ Lantz 2004, pp. 167–70. ^ Lantz 2004, pp. 361–4. ^ Scanlan 2002, p. 59. ^ 陀思妥耶夫斯基小说《白夜》将搬上中国舞台. 新華網. 2013-11-14 [2014-01-29]. （原始内容存档于2014-02-03）. Frank, Joseph. Dostoevsky: A Writer in His Time. Princeton University Press. 2009. ISBN 978-0-691-12819-1. Terras, Victor. Reading Dostoevsky. University of Wisconsin Press. 1998. ISBN 978-0-299-16054-8. Bloshteyn, Maria R. The Making of a Counter-Culture Icon: Henry Miller's Dostoevsky. University of Toronto Press. 2007. ISBN 978-0-8020-9228-1. Lantz, Kenneth A. The Dostoevsky Encyclopedia. Greenwood Publishing Group. 2004. ISBN 978-0-313-30384-5. Scanlan, James Patrick. Dostoevsky the Thinker. Cornell University Press. 2002. ISBN 978-0-8014-3994-0.